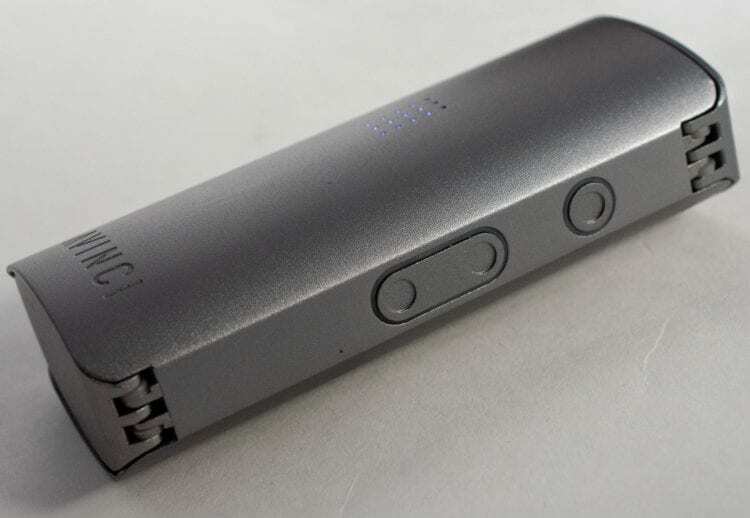 HomeReviewsDavinci Miqro Dry Herb Vaporizer: Best Portable Unit Ever? Davinci knocked it out of the park, with their consistent release of a new addition to their lineup of vaporizers every year or two, since the OG Davinci came out in 2012. In July of 2018, this innovative and inspiring company added the Miqro to the mix. The Miqro is priced around $200, and we believe it offers exceptional value at that price point. Below we’ll give it a top-to-bottom review right here at DispensaryGTA.com. Pop in the battery and load the chamber and you’ve still got an incredibly light unit weighing only 104 grams. The dimensions are 8 cm tall by 3.5 cm wide and 2.5 cm deep. It’s extremely small, and of course that’s the point. It’s very discreet; easy to carry in your pocket, easy to hide, and easy to palm. The chamber (bowl) fits approximately .25 grams of dry herb, or go for .15 grams and use the pearl to fill up a bit more of the chamber space. This little piece is solid. We’ve had a few minor drops and bumps with no issues at all. The materials feel very high quality and strong. Feel free to take your Miqro hiking with you, and don’t stress about it banging around in your backpack. It can handle it! If anything, the build on the Miqro feels like an improved and smaller version of the Davinci IQ. It comes with most of the features of the IQ, at a fraction of the cost. My only complaint and it was a complaint I had with the IQ as well, is that the outer shell of the unit becomes quite hot. If Davinci or another company released an aftermarket silicone sleeve, I would be a very happy girl (in pink!). The vapor path, bowl, pearl, and mouthpiece are all made from ceramic zirconium. It gives it a nice taste, and makes it extremely easy to clean. We found the Miqro was easier to clean than the IQ, showing Davinci’s resolve to correct even minor imperfections in their design. 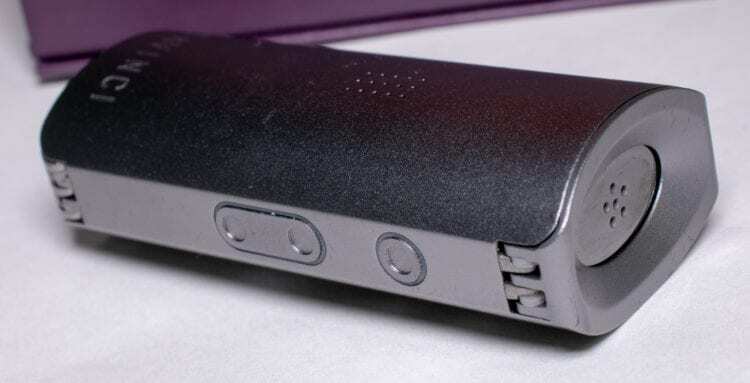 The vapor path is also meant to cool the vapor before it reaches the user; however, due to the Miqro’s small size, the vapour tends to be a little hotter than the IQ. This leads to a slightly harsher smoke; however, it is still well within most users tolerance. Just as with the IQ, I did try some fresh mint leaves, within the actual vapour path itself. I highly recommend trying it, it can be a fun addition to a great vape sesh. As an added bonus, your breath will be minty fresh (be sure to not pack the vapor path too full)! The Miqro takes about 40-50 seconds to heat up. Some vaporizers are a bit quicker, but for us this worked just fine. 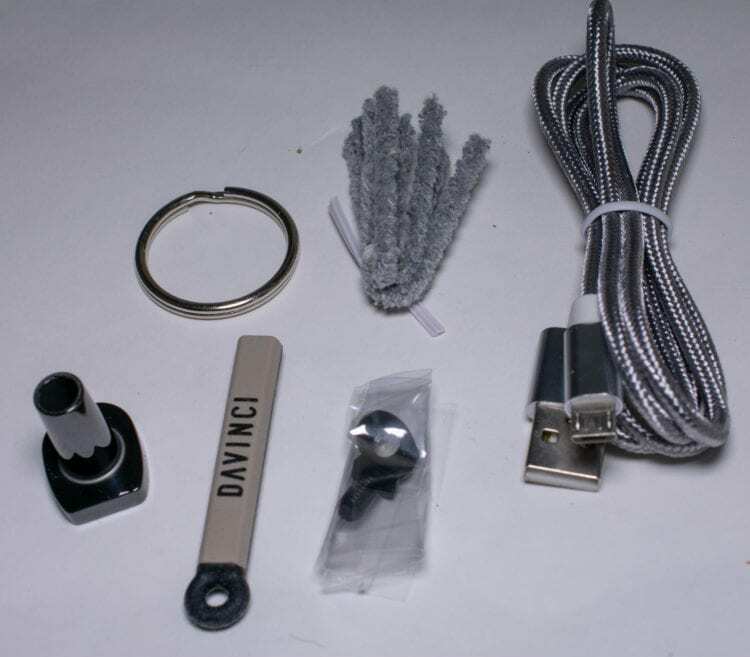 Davinci IQ users will notice the heater isn’t quite as strong in the Miqro. That means you may end up using the higher temps more on the Miqro, especially if you like exhaling lots of big clouds. This is where you can really dial things in to your preferences, as well as the right settings for your product. 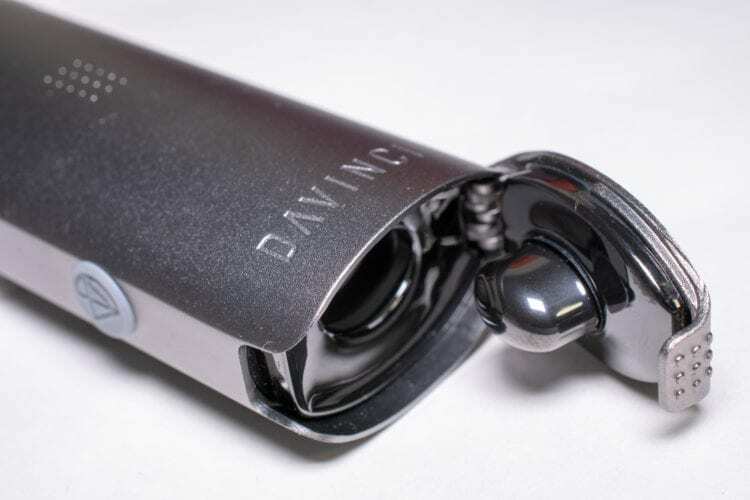 The Davinci Miqro has a temperature spectrum that goes from 150℃ – 222℃. It also has a boost mode, standby mode and Smart Path technology. The Smart Path technology lets you select from 4 different 20-degree temperature ranges. The Miqro will then gradually heat up from the lower end to the top end of your Smart Path range over the course of a 5-minute session. Pretty cool! Boost mode takes it right up to the max temp as fast as possible. Then, standby mode rapidly cools the unit down to conserve your dry herb as well as your battery life. The Miqro features a rechargeable 18350 900mah battery. This will give you about 30 minutes of use from a full battery. If you’re thinking that isn’t enough for all your long sessions on the couch at home, you’re right. But that’s not what the Miqro is for. It’s for when you need discretion, or don’t want to be lugging around a larger, heavier unit. When you plug it in, expect to wait around 90 minutes for a complete charge of the battery. If you pick up an external charger, you can cut 10-15 minutes off, and of course then you can charge two batteries at once. The vapor path, mouthpiece, and zirconium pearl are relatively easy to clean. You can just wipe down the pearl, and then I recommend dropping the vapor path and mouthpiece in some isopropyl alcohol for about 10 minutes, wipe them, rinse them, and let everything dry before you reassemble your Miqro. Pipe cleaners come with it, and those are a big help for cleaning the vapor path. We’ve heard of some folks dropping everything in iso overnight. Iso is pretty harsh stuff, and it may reduce the life of your unit if you repeatedly soak it that long. Don’t forget- iso is not a cleaner, it’s a disinfectant! Overall, we’d say the Miqro is another great addition to the Davinci lineup. There’s a lot of competition these days at the sub $200 price point, but the Miqro really stands out. It’s one of the smallest vaporizers on the market, but still has all the high-end features you’d expect on a larger, more expensive unit. The battery life isn’t incredible, true, but that’s the trade-off for something this small and discrete. If you want a vaporizer that’s extremely portable, durable, built with high-quality materials, and won’t break the bank, the Davinci Miqro is a perfect unit for you! If the Miqro’s size and portability isn’t a big issue for you and you would like to see a little more battery power, check out the Miqro’s big brother, the Davinci IQ, Canada’s #1 top vaporizer. Have any questions or comments? Please lease a detailed message below!